Windows OS does not give us much options to customize it. So if you are looking to create customize CD’s for Windows XP x86/x64, Windows 2000 and 2003 x86/x64 in all languages then you can use nLite. nLite is a freeware to create customized CD’s for your Windows OS. 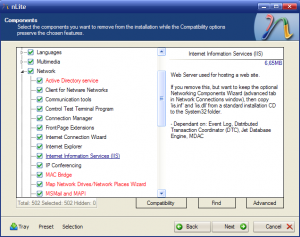 With the help of nLite you can remove some of the windows components like Messenger, MSN Explorer, Media Player, Internet Explorer and other things. 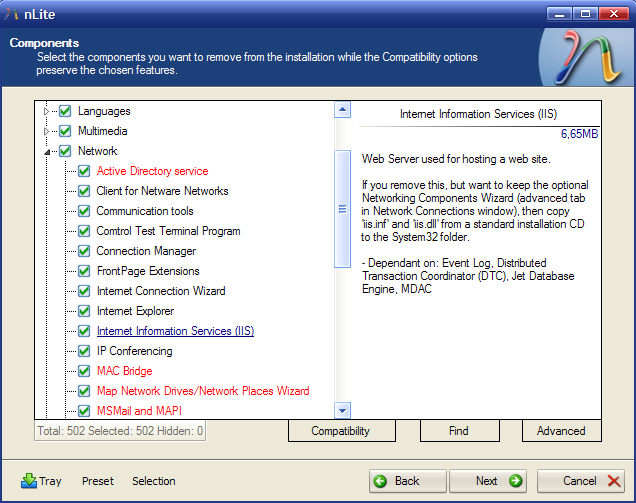 So you can easily customize and configure your Windows components instead of choosing everything. This will be very helpful if you are looking for some testing. All you have to do is just Install nLite and point it to your Windows id files. Now you can customize your windows components. Later you can modify some of the advanced options to tweak with Windows OS. Finally you can create an ISO.